Despite losing a streaming deal with the National Football League for live games earlier this year to online retail giant Amazon, Twitter has signed a new multi-year deal that will see it offer live football programming. 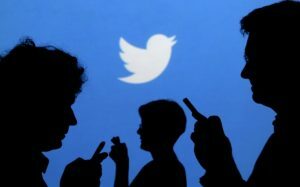 Under the new deal, some of the video content that Twitter will stream includes official NFL videos and a live digital show running for half an hour for five nights a week in the course of the football season. Hosts of the live digital show will be talent from the NFL Network. The show will concentrate on pre-game updates, team power rankings, fantasy projections, key storylines, game highlights and breaking news. On game days, there will be Periscope broadcasts featuring sideline interviews and play warm-ups all streamed with the intention of offering fans of football a behind-the-scenes look to NFL teams. Content that will augment the live footage includes news and analysis, NFL highlights and historical content. “This new multi-year collaboration will bring compelling live studio programs that discuss what’s happening in the NFL, unique behind-the-scenes live broadcasts before games, and the best NFL highlights to Twitter, alongside the real-time NFL conversation,” said Anthony Noto, the chief operating officer of Twitter in a statement. Though terms of the new deal were not revealed, the previous deal the microblogging company had with the NFL was worth $10 million. Since Twitter will not be streaming any live games, the deal is likely to be worth less than the previous one. Twitter’s partnership with the NFL begun in 2013 before culminating in an agreement last year to stream Thursday Night Football matches. While the NFL Network, CBS and NBC also got to broadcast the games, the NFL was able to reach an international audience through Twitter. In comparison with traditional television, the reach of Twitter is tiny, however. According to the National Football League, Twitter had an audience of two million viewers in the debut game while that same game was watched by 48 million people on television. There was also those who complained that having live tweets being shown alongside games led to a negative viewing as it was a distraction. It is being hoped that the new programming will get a better reception by the audiences on Twitter. Besides the NFL, Twitter has also been pursuing other deals with other leagues with a view to raising user engagement and boost ad inventory. This includes the Women’s National Basketball Association and the Major League Baseball.